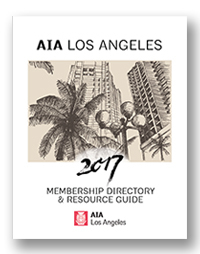 Your digital edition of the AIA Los Angeles - 2017 Membership Directory & Resource Guide is available now. Clicking on the Table of Contents will deliver you directly to that page of your issue. Thank you for reading!